For rather long time we haven't heard anything about Thief game, but yesterday the developers decided to reveal new information about this upcoming stealth-action. They have selected 5 questions from the fans and given their detailed answers to them. The first question was about the non-playable characters. The fans are interested in the abilities of the game's opponents and the ways they can notice you. The developers answered that they tried to create rather difficult and challenging game, and so there will be lots of things, which can expose you. For example, the guards will be able to notice an opened door, loot and, of course, dead body. Moreover, they will react to different sounds: the whistle of arrows or the crunch of glass under your feet. Also your opponents may notice the missed fellow and go searching him. So, if you make noise while moving, how will you be able to control it? The developers explained that crouching and fast attack will be silent, but you need to avoid the objects on your way very carefully. Also running will make considerable noise. Another important question is how guards will react, when they notice you. It became known that your opponent will be shouting for help, so if only one guard has noticed you, soon there will be lots of them. Also the developers have told that Thief game will be playable even for colorblind people, because the colors are not very important here, and the contrast of the gameplay makes everything clear. The last question that the fans were interested in touches the difference between the difficulty levels. 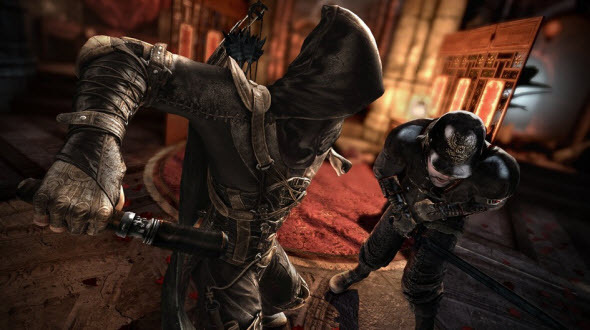 The developers have explained that Thief game has a lot of options and various ways how to behave in any situation. So, playing on the hardest level, you will need to react much faster and your opponents will be able to notice almost any noise you make. 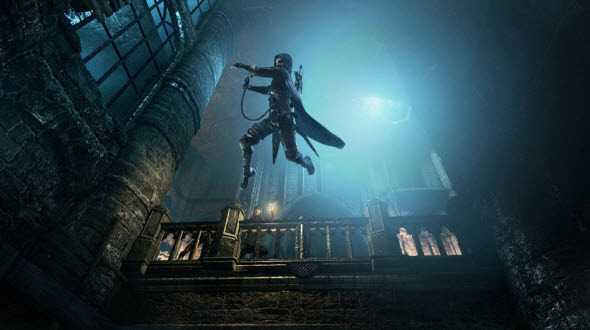 And at the end we would like to remind you that Thief game will be released on the 25th of February 2014 for PC, next and current generations of consoles. Are you waiting for this game? Let us know in the comments below.